National Luxury Collection Hotel is a world known historical hotel with over a century background famous for its splendour, luxury and service. 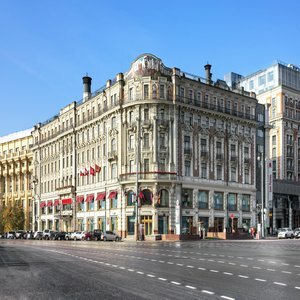 It is located in the very heart of Moscow, among exclusive shopping addresses, business and cultural areas, directly opposite the Kremlin. 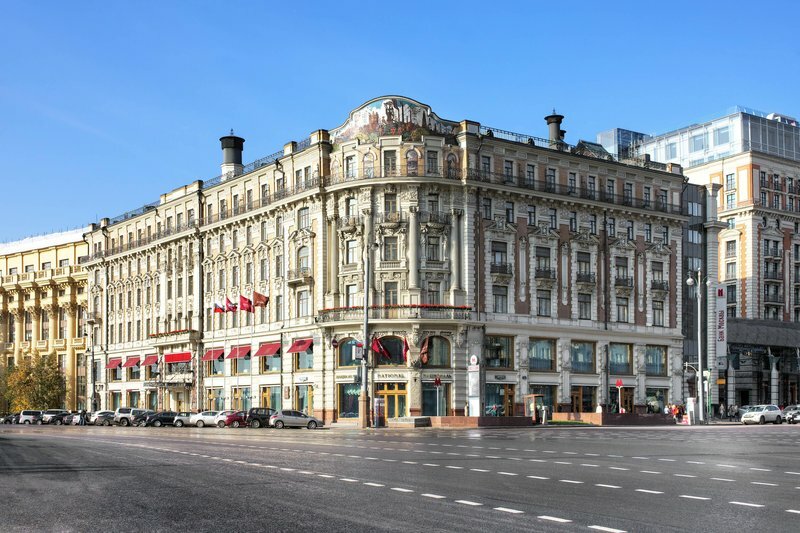 The National Hotel was named The Best 5-Star Hotel in Russia and was recognised with numerous professional awards. The National is a part of The Luxury Collection - the most prestigious global hotel chain - and is the only representative of this chain in Russia. The hotel offers accommodation in 202 guest rooms, including 37 antique Suites with picturesque view over the Kremlin. All rooms are equipped with air-conditioning systems, Wi-Fi Internet access, direct-dial telephones, safe deposit boxes, satellite TV, radio, minibar, trouser presses and hair-dryers. The breakfast is served at elegant and spacious Moskovsky hall with large panoramic windows allowing in full natural daylight and offering a magnificent view over Red Square and Moscow Kremlin. The Alexandrovsky bar with its light and cozy atmosphere is a favourite place for meetings. It offers a variety of dishes and beverages, live piano music. For banqueting and conferences the hotel has a selection of 13 halls that can be tailored to suit any occasion for up to 200 persons. Other services and facilities of the National Hotel include: a fitness centre, a beauty salon, a business centre, laundry and dry-cleaning services, limousine service, a concierge desk, safe deposit boxes and 24-hour room service.